Where is your home? What's so special about trees? Does it matter if our food is junk? Those are just some questions considered across A Rocha UK's range of reflective resources for church services and worship events. Download a free pack to support your service theme. Resources available so far include – service orders (adult, all-age, interactive), sermon materials, Bible study notes, suggested songs and hymns, prayers and materials for children’s groups. Many Christians have been taught that our ‘real’ home is in heaven. Yet, the Bible actually says that God’s home will be with humanity (Revelation 21:3), and God calls us to put down roots and bear good fruit in the places where we’ve been planted. A Rocha’s 2013 Environment Resource Pack on Home provides resources for churches to celebrate their local area – the human and wildlife communities they share it with – and to seek ways to be involved in caring for their homes. What's so special about trees? Martin Luther King said: “God writes the Gospel, not in the Bible alone but on trees, flowers, clouds and stars.” Today, human behaviour is leading to massive deforestation around the world. All of A Rocha UK's Associated Projects are involved with protecting or planting trees or forests, and A Rocha International’s Tropical Forests Programme links several international projects. In fact our human lives are dependent on trees in multiple ways. The Bible also starts and finishes with trees – in the Garden of Eden and in the heavenly-earthly City. In between, Jesus’ death on a tree expresses our misuse of God’s creation as well as God’s wonderful saving plans for people and all creation. 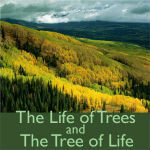 Download The Life of Trees and the Tree of life here. This pack aims to help you reclaim a biblical understanding of food – as something at the centre of our lives – a source of celebration and joy – and also as a way of bringing God’s Kingdom values of justice and restored relationships into our lives. Contact uk@arocha.org to let us know if you would like this material. What's so wonderful about the world? 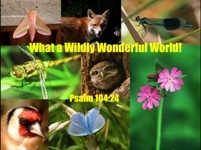 This Environment Resource Pack takes its name from Psalm 104:24 which says (The Message Bible): 'What a Wildly Wonderful World'! God you made it all, with Wisdom at your side,made earth overflow with your wonderful creations. 2010 was the UN’s International Year of Biodiversity so it was a great time to focus on the incredible beauty and complexity of nature, on how it can be a springboard to worship, and on how we can glorify God by caring for biodiversity locally and globally. 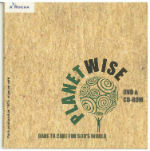 Download What a Wildly Wonderful World here. 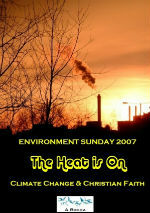 Confused about climate change? Why is this a big issue today? How should the Church respond? 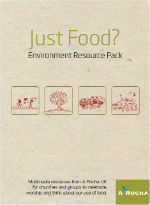 This exciting resource is designed to enable you to tackle these questions and more. Designed to help individuals, groups and churches better understand what the bible says about God’s world and develop practical ways to care for people and the planet. Not currently available to download but we hope to make available shortly. Contact uk@arocha.org to let us know if you would like this material. Join with us to examine a biblical epic that rarely gets beyond Sunday School, yet turns out to be one of the most significant and powerful bible passages for our time. 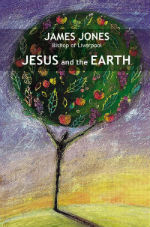 "Jesus and the Earth" has been chosen as a theme to link with the book of the same name by Bishop James Jones of Liverpool. Bishop James, and his publishers SPCK, have kindly agreed to the use of the name, and to short extracts from the book being used. This pack is therefore slimmer than in recent years, as it is expected that people will buy the book and use it as a reference. A short review of the book follows inside the pack. Any mistakes contained in this pack are the responsibility of the pack's author, Revd. Dave Bookless, and not of Bishop James Jones or SPCK. 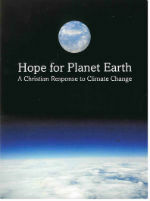 Download Jesus and The Earth here. 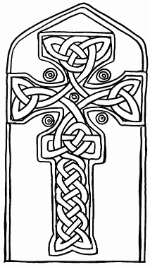 A theological and historical study of Celtic Christians - unlocking the myths and exploring the truth! A look at the opportunities and dangers in using "Celtic Christianity" to engage with people interested in New Age spirituality. Download The Bible, Creation and Celtic Christians here. Download Heal The Land here.